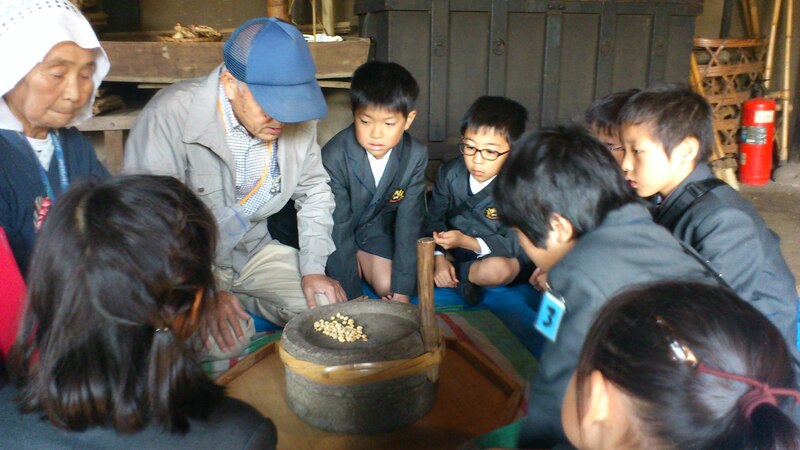 On Thursday October the 16th the grade 3 regular and international division students visited the Kin-No-Suzu historical museum in Kisarazu. The international class first visited a 300-year-old farm house. 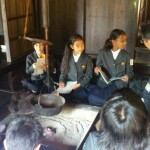 The students were able to experience using a stone mill, seeing what life was like by the light of an Edo period oil lamp, keep a fire going in the cook stove, and listen to how life was while sitting around the living room fire pit. 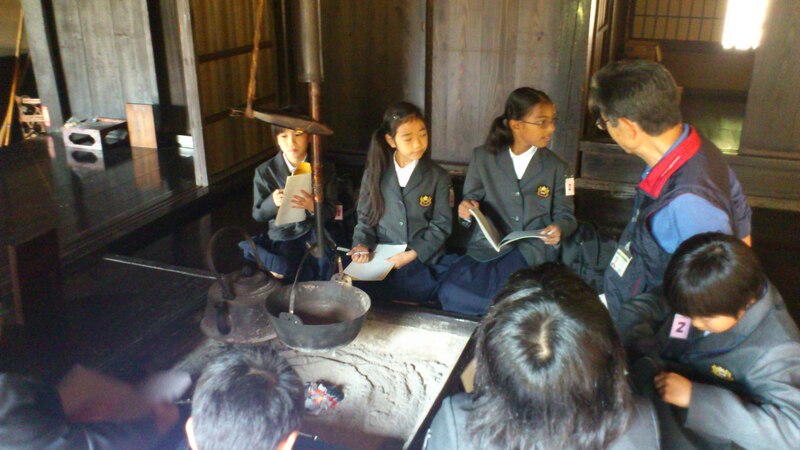 Afterwards the class moved to the history museum and learned about how life changed in Kisarazu from about 150 years ago till the present. 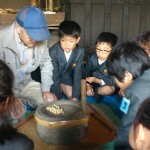 The students learned a great deal about life in the past and had a wonderful time.